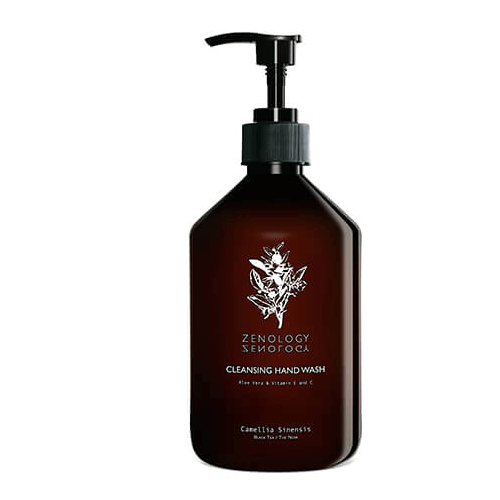 This refreshing Black Tea Hand Wash provides a rich, creamy lather while gently cleansing your hands. Formulated with hydrating sodium PCA (a naturally occurring humectant that draws moisture to the skin) and protective Aloe Vera extract to help your hands maintain a perfect moisture balance. Our formula deeply nourishes with Vitamins E & C to keep hands extra-healthy and looking its best. lather while gently cleansing your hands. Formulated with hydrating sodium PCA (a naturally occurring humectant that draws moisture to the skin) and protective Aloe Vera extract to help your hands maintain a perfect moisture balance. Our formula deeply nourishes with Vitamins E & C to keep hands extra-healthy and looking its best. Apply hand wash to wet hands, gently work into lather; rinse clean under running water.